The ATO wants to install special purpose liquidators to a company connected to Australia's largest private gold refiner. Liquidator Schon Condon – not the ATO’s preferred choice. The Australian Tax Office (ATO) has asked the Federal Court to appoint Korda Mentha’s Rahul Goyal and David Winterbottom special purpose liquidators (SPLs) of a company formerly known as ABC Refinery Pty Ltd in a move that would supplant general purpose liquidator (GPL) Schon Condon and focus the ATO’s GST fight with the precious metal refining sector squarely on the owners behind the Pallion precious metals group. In documents filed late last Friday the ATO seeks orders approving the appointment of the Kordas pair to ABC Refinery Pty Limited, which since December 2015 has gone by the name ACN 154 520 199 Pty Ltd. At this stage the current trading entity ABC Refinery (Australia) Pty Limited is not in liquidation, though its incorporation on August 7, 2015 gets special mention in the ATO’s application as something to be scrutinised in the event the court approves the SPL’s appointment. Orders enabling them to enter into a funding agreement are also being sought, an opportunity the ATO has declined to make available to the incumbent. Condon, who is on leave this week, told SiN on Monday that he had not at that time been served by the ATO with any documents relating to the application. If the ATO succeeds, Goyal and Winterbottom will investigate the circumstances around ACN 154 520 199 Pty Ltd’s restructuring. An annexure attached to the ATO’s originating process indicates the full scope of the planned investigations, starting with ACN 154 520 199 Pty Ltd but including various related entities from the Pallion Group, a top 20 Australian private company and Australia’s largest precious metals refiner. Public examinations of related entities’ directors and officers are planned as well as examinations of unidentified individuals suspected of acting as “shadow directors”. ” … it defies logic that the ATO is now seeking to embark on a costly Federal Court process to appoint a Special Purpose Liquidator (“SPL”) to examine matters the ATO itself has already spent more than 18 months, and significant taxpayer dollars, scrutinising without raising a single issue of substance,” Cochineas said. 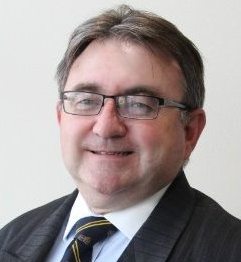 “It follows the ATO’s failed attempts in late 2016 to seek to overturn the appointment of the current liquidator and replace him with another liquidator with whom the ATO, by its own admissions, has important commercial relationships,” Cochineas said. The matter will come before the court for the first time on February 9. Goyal did not return calls by deadline. Be the first to comment on "SPLs for ABC as ATO moves to replace Condon"